Yesterday we had our annual (not)Cetis Scotland outing to the Edinburgh Festival Fringe. We’ve been having a get together at the Fringe for a number of years now and it’s always great fun. 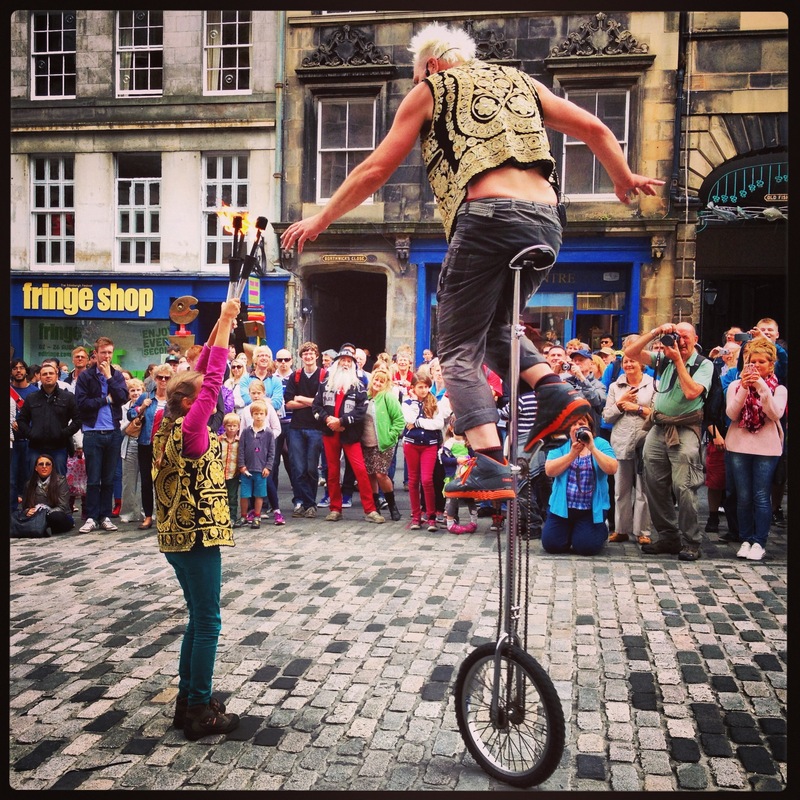 Sometimes partners and children come along, sometimes we book a show in advance, sometimes we pick one on a whim, more often than not we just bimble up the Royal Mile enjoying the Fringe chaos. (Open entertainment?!) There’s always good food involved, often from the Nile Valley Cafe, which is still one of my favourite places to eat in Edinburgh. Last year we were entertained by the Horrible Histories stage show and a man wearing underpants balancing on top of a ladder juggling knives. This year it was a different man balanced on top of a unicycle juggling flaming torches, assisted by a small child. Class! This entry was posted in cetis and tagged fringe. Bookmark the permalink.